Destined to become an iconic history of Alaskan life along the Glenn Highway during the latter part of the 20th century, this three-volume, documentary journal details the daily activities of Norman and Sylvia Wilkins (and frequently, of their friends and neighbors) including the struggles and frustrations of living on the frozen tundra. 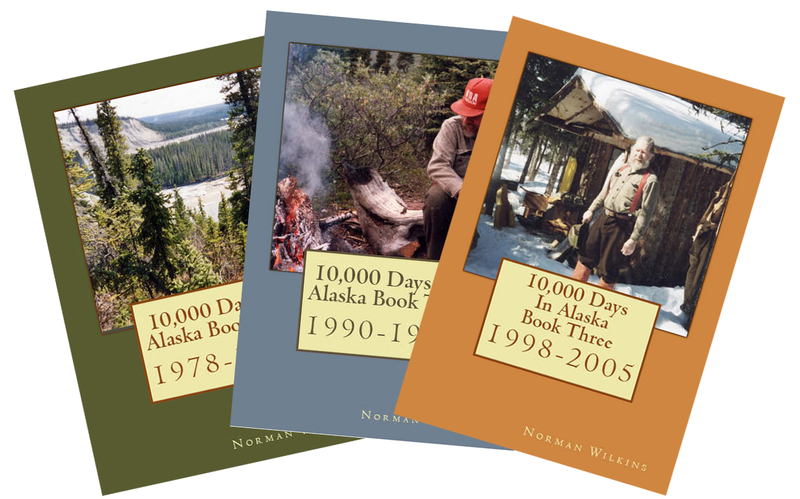 To order 10,000 Days In Alaska Book One (1978-1989) now, CLICK HERE (528 pages). To order 10,000 Days In Alaska Book Two (1990-1997) now, CLICK HERE (432 pages). To order 10,000 Days In Alaska Book Three (1998-2005) now, CLICK HERE (420 pages). My Mother lived in Alaska during 1994 ? her name was Mae richardson. Mae Richardson was a good friend of my mother Sylvia and is mentioned once at the end of book one and dozens of times in book two.